Here, you lift almost 60-65% of your body weight. But you don’t have to worry about it even if you are a little overweight, as the resistance you subject your body to during a push up, is proportional to the capacity of your body. Once you are capable of doing twice the number you did when you started, you can try doing them with your feet elevated. This small change in position works all the core muscles and helps you in muscle building. 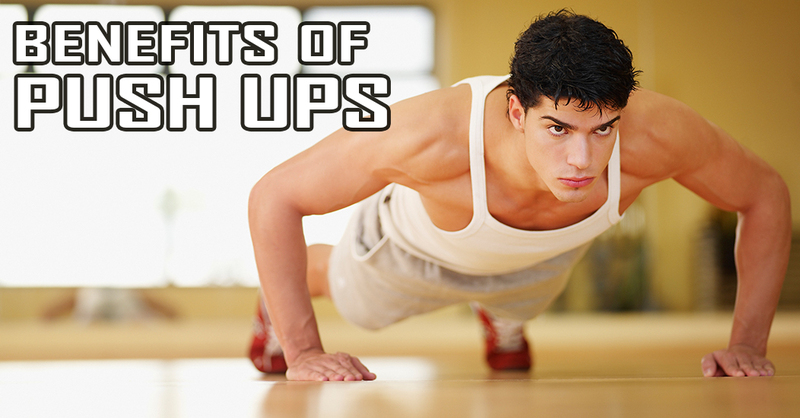 Numerous push up variations are possible that you can implement in stages and have a complete upper body workout. Simple variations that can be tried are – placing your hands on medicine balls instead of the floor, placing one hand on a medicine ball and the other on the floor, doing it on fists or fingertips, keeping the feet elevated above ground level, jumping up and clapping in between, etc. Moreover, you do not need any equipment or a hefty gym membership to get all the benefits of a good workout. This is because, in a bench press, your shoulder joints have to support excess weight, and if not done correctly it can cause small injuries. So it is advised that all the gym exercises should be done under the supervision of a qualified trainer This is an important benefit of push ups.